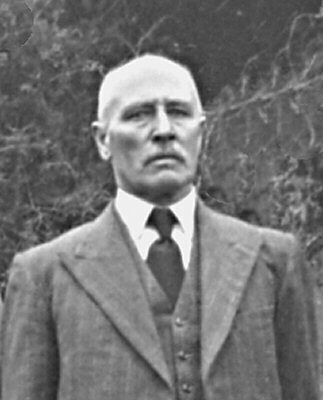 Henry Tilley was born at Hilcot Wiltshire, England and after losing his wife Jane and 2 children, David and Elizabeth, through sickness, decided to come to Australia with his son John who was then only 11 years of age. They left Plymouth in the migrant ship “Asceola” (also known as “Osceola”) on the 24th December 1850 and arrived in Adelaide on April 5th1851 and the “Asceola” never completed the return trip to England and it was presumed sank at sea. In 1853, Henry and his son John, then only 13, went off to the Victorian gold‑fields. As Henry Tilley on his return was able to pay ₤800 for a 77 acre section of land (Section 2131) at Upper Dry Creek in 1854. The home Henry Tilley built on the section he named HillcottFarm, after his native village of Hilcot in Wiltshire. The homestead was built close to a branch of Dry Creek, near the south‑west corner of Yatala Vale Road and Golden Grove Road, this house existed until it was demolished in 1998 to make way for a new housing development. Henry died in 1877 and was buried at Golden Grove Cemetery. After Henry’s death belonged to John and like his father he continued to increase his working land and in the year 1900 he was farming 648 acres over 10 different sections. John & his wife Anna lived and farmed Farm all their lives raising the family while growing wheat, barley and oats. Milk from the dairy herd was another source of income. John was active in local council affairs and in 1881 was elected to council and served as Councillor for 20 years. He was chairman for two terms 1884 -1888 and 1892 – 1898. He served on the district School Board of Advice and was a Judge of horse stock at the Royal Agricultural and Horticultural Society’s Show and at local shows. John Tilley died at Golden Grove, in 1907. 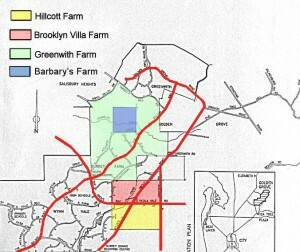 After Henry’s death Hillcott Farm belonged to John and like his father he continued to increase his working land and in the year 1900 he was farming 648 acres over 10 different sections. John & his wife Anna lived and farmed Hillcott Farm all their lives raising the family while growing wheat, barley and oats. Milk from the dairy herd was another source of income. After Anna Tilley died in 1909 Hillcott Farm was passed on to the Tilley brothers who together worked the farm until 1912 when StanleyTilley purchased the farm outright. He continued to work the farm until his death. His wife Amanda, with the help of their son Grove carried on the farmwork with the main emphasis on the dairy herd. It was a common site to see traffic on Golden Grove Road stopped to let the cows cross on their way to the milking sheds. When Grove passed away Amanda went to live with her daughter Phyllis. 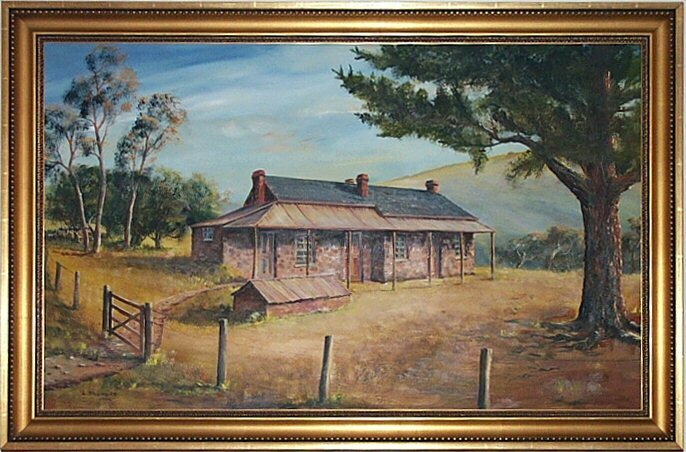 John Henry, (John Tilley’s eldest son,) and his wife Hannah started married life at Hillcott Farm then moved to the Coleman property (app 70 acres) on Yatala Vale Road. They later moved in to Greenwith Farm in 1908. Greenwith Farmhouse, Golden Grove Rd was almost opposite Greenwith Church and along with a further 450 acres (in 1913) produced Wheat, Barley, Oats and Peas while Sheep, Cows, Pigs and Poultry were raised both for sale and to supply the household. 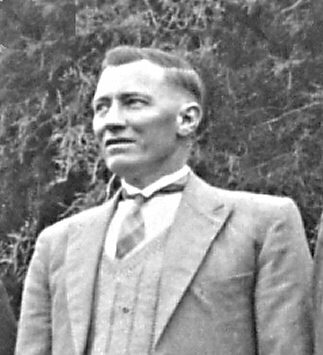 Jack Tilley married Reta Bowey in the little Methodist Church at Modbury in 1925. When John Garfield was born they were living in an old house known as ‘Barbary’s Cottage on Cobbler’s Creek for 12 months. They moved out when Jack bought 80 acres of land and a house called ‘Brooklyn Villa’ from the Gregory family. That house is now owned by Brian Tilley (son of Jack and brother of John ) and still stands on the corner of Golden Grove Road and Yatala Vale Road, now known as The Grove Way. 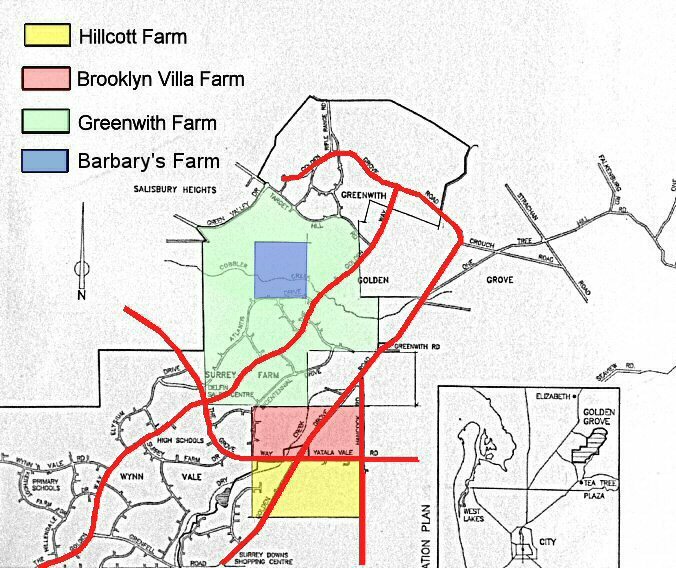 There are only 4 acres left now, but there were 240 acres which joined onto that original section which Jack had bought and was named Greenwith Farm. 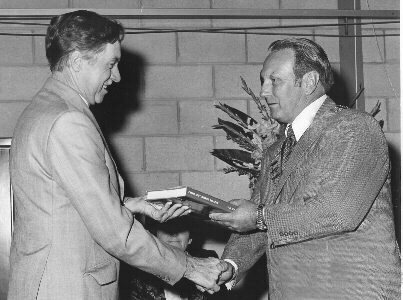 In 1965 John Garfield Tilley decided to follow family traditions and was nominated and elected as Councillor for the Golden Grove Ward serving in that capacity until 1974, when in July the City of Tea Tree Gully gained its first local‑born Mayor, John Garfield Tilley,. He was Mayor of the City of Tea Tree Gully for 7years and then re-elected for a further 7 years, after which he continued with the council until his retirement in 1993. In all he committed 27 years to the council. 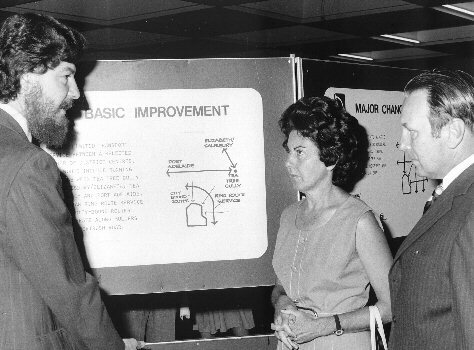 Along the way he gained enormous respect in local government for his guiding hand during a period of rapid growth in the area, including such projects as the O-bahn and the Golden Grove Developments. John’s wife Jean, as well as being Mayoress, was Patron of several local women’s organisations, President of another, and served on the committee of Meals on Wheels and of the Royal District Nursing Society. This house was used by the various members of the Tilley family, over the years and was situated on Cobbler’s Creek but has since been demolished. Alongside the home was and still is a pine tree now well over a century old, It was brought out from England in 1847 on the first Immigrant Ship that left England, it was then only 6 inches high and growing in a jam tin, Probably the oldest pine tree in South Australia. The Tilley Recreation Park was named after the Tilley family, after Hannah Cooper Tilley (nee Steven) gave the 7 acres of land to the community in 1946. Thirty nine years prior to this the land was virtually in private ownership and it was used as a showground and cricket oval, as well as the hall being used for local functions. After the grounds were handed over to the public, a trust deed was formed and later they became an incorporated body and many of the facilities were upgraded, firstly the tennis court site was excavated and levelled and over the years many improvements were effected. Prior to that, the present old hall was built in 1916 after a previous hall had burnt down in 1915. Both these halls had been built and used by the community. The lean-to or supper room was added in the late 1940’s. In addition to the initial 7 acres , Council purchased a further 7 acres in the late 60’s early 70’s to double the size of the area and to confirm it as a major reserve of our city. The Golden Grove joint ventures added a further 7 acres to make further expansion possible. The Trust which had been managing the park from 1946, handed over the park to the Council in 1973.